I have heard that specialty care is very expensive. Why is that? While it is true that specialty care is often somewhat more expensive than the care provided by primary care veterinarians, the cost difference proves to be manageable for the majority of pet owners. The higher cost of specialty care is driven largely by the cost of the sophisticated equipment and highly trained personnel required to deliver it. Will I receive a cost estimate? Yes. After you and your veterinarian have discussed the medical recommendations for your pet and their potential costs, you will be provided with a written, itemized estimate of costs. You should read the terms and conditions of the estimate, and ask any questions you may have. Your veterinarian will be happy to work with you to keep your costs as manageable as possible. Although we make every effort to provide accurate estimates, keep in mind that they are just estimates. Patient needs sometimes change during the course of care requiring revision of the estimate. We will keep you apprised each day of changes in the status of your current and expected charges. What are your financial policies? Payment for outpatient services is due at the time the services are provided. If your pet is admitted to the hospital, you will be required to leave a deposit of 75% of the estimated amount. We accept cash, personal checks, MasterCard, Discover or VISA. The balance of your account is due at the time your pet is discharged from the hospital. If during your pet's stay you and your veterinarian agree that additional care is needed beyond what was anticipated at the time of the original estimate, you may be asked to make an additional deposit toward your final bill. If you think you may have a problem paying your account in full, please contact our Accounting Office prior to discharge at 508-839-7938. What is CareCredit? Do you offer it? CareCredit is a firm that specializes in assisting its clients with the cost of medical or veterinary care. If you qualify for the firm's services you will be able to pay your bill in installments at a relatively low or no-interest rate. The hospital can help you with the CareCredit application process. Please call our Accounting Office at (508) 839-7938. Do you provide discounts for procedures that have teaching value for your students? We do not, simply because our students learn from every patient we see, and it would be impossible to assign greater teaching value to one patient or procedure over another. 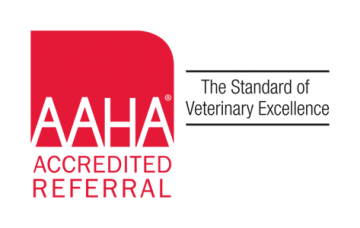 All cases at the Foster Hospital for Small Animals are managed by a licensed veterinarian. Students may participate with the doctors and with you, but your pet's care is provided by our veterinarians.